All 16 year old students in the State of New Jersey who want to learn to drive must be registered with a State licensed and insured driving school. They must complete a six-hour behind-the-wheel driving course of instruction, in order to receive their permit to drive. Although the permit cannot be purchased before the actual day of their 16th birthday, we can complete the paper work and the scheduling can be arranged before the students 16th birthday. An original County birth certificate – (with the raised Seal). An alien identification card (Green Card). If adopted, Birth Certificate with original adoption papers. Your Social Security Card number. If you have completed the driver’s education course in school, we will need your blue score card. 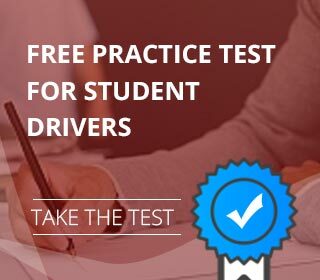 If you have not taken the test at school or did not pass, we will take you to DMV to take the test.